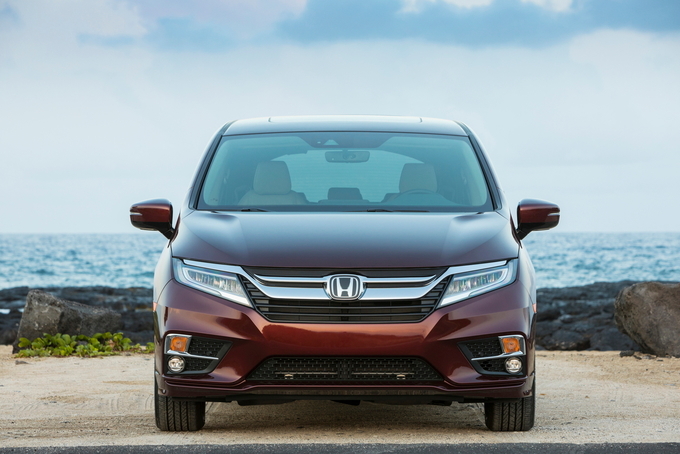 See used Honda Odyssey listings in your area. 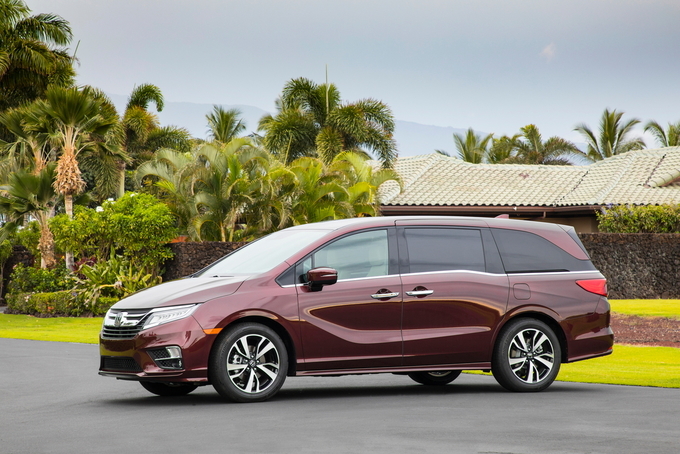 The 2018 Honda Odyssey marks the start of the fifth generation of a minivan that's served as a family favorite for nearly two decades. 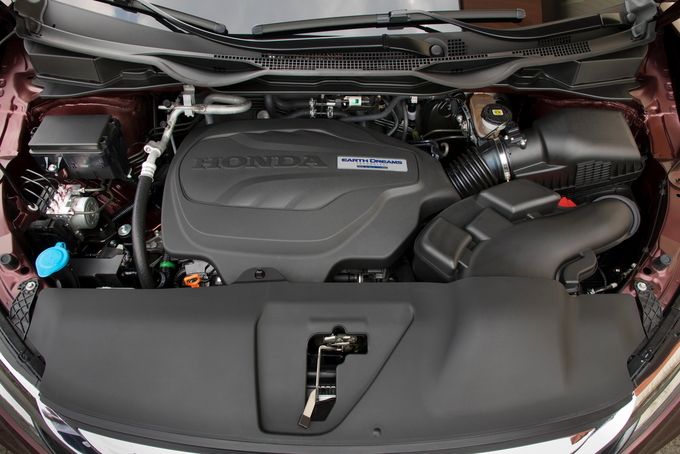 The Honda Odyssey comes with a direct injection, 3.5-liter V6 with cylinder deactivation that develops 280 horsepower. It's paired with either a nine-speed automatic (on LX, EX, and EX-L models) or ten-speed automatic (on Touring and Elite trims) transmission. 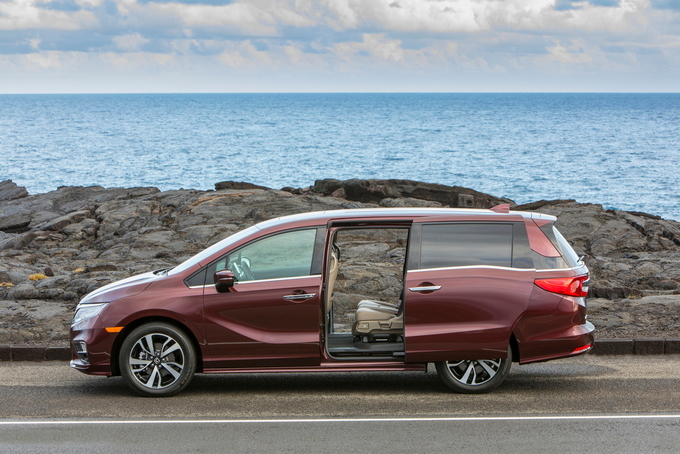 With either transmission and the standard cylinder-deactivation system, the Odyssey gets an EPA-estimated 19 miles per gallon in the city, 28 on the highway, and 22 combined – best in its class numbers, other than the Pacifica plug-in hybrid. 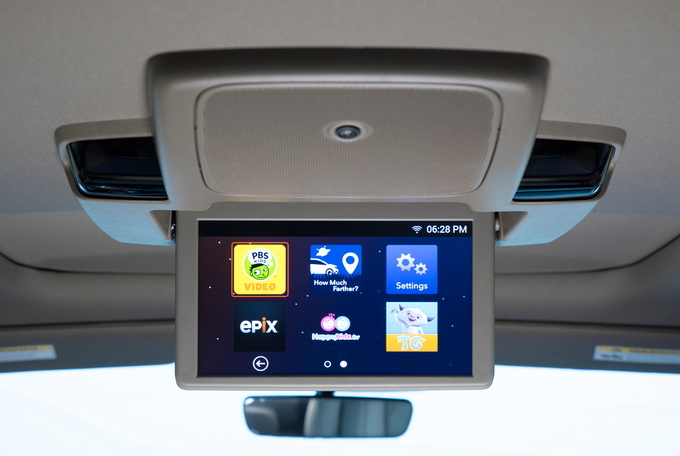 The Odyssey's ride and handling is the best in the segment as it's both comfortable and well-controlled. The3.5-liter V6 is a great performer, offering strong acceleration. All-wheel drive isn't available on any model. The nine-speed transmission doesn't shift nearly as precisely as the new ten-speed automatic, which is only offered on Touring and Elite models. 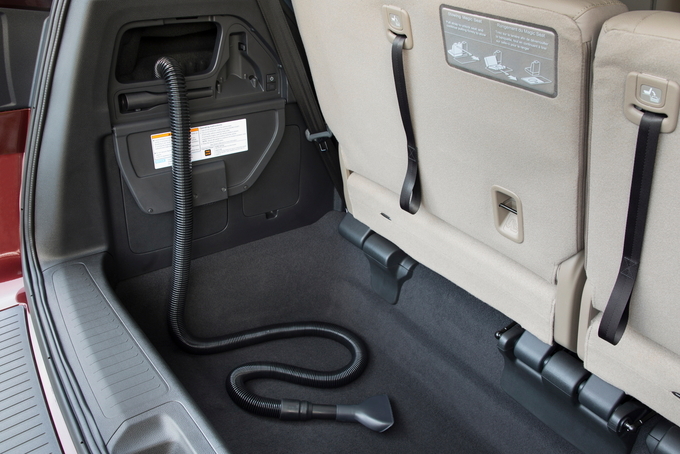 Higher trim levels get treated leather to better repel the stains from Little Jimmy's chocolate milk. The Magic Seat in the center of the middle row can be removed and the outboard seats can be slid together or apart as well as fore and aft - even with a child seat attached – allowing a number of different seating arrangements. 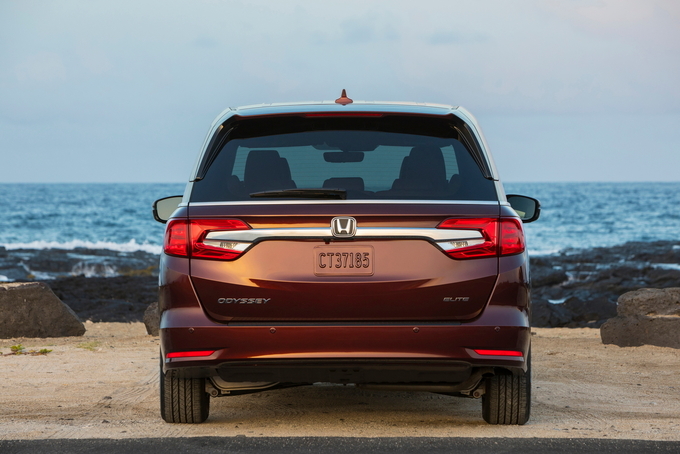 The Odyssey is the roomiest minivan in the segment with 38.6 cubic feet of cargo space behind the third row. When it's folded and the second row seats are removed, there's a total of 155.8 cubic feet of cargo space – a 7.3 cubic foot increase over the 2017 model. 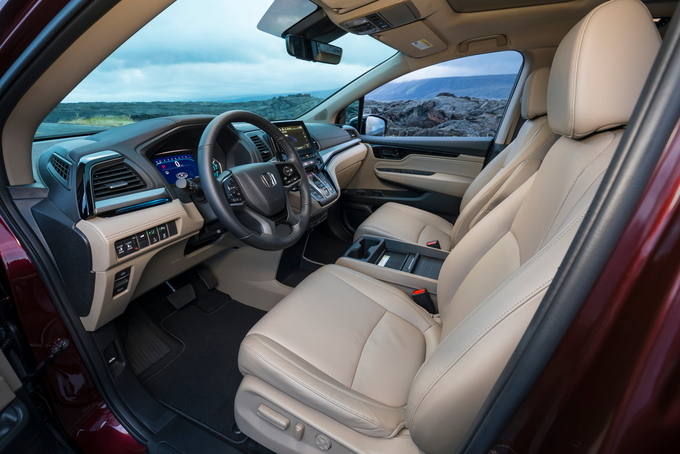 Features like a rear entertainment system, heated front seats, and Honda's Cabin Watch in-cabin camera system are only available on the top two trim levels. 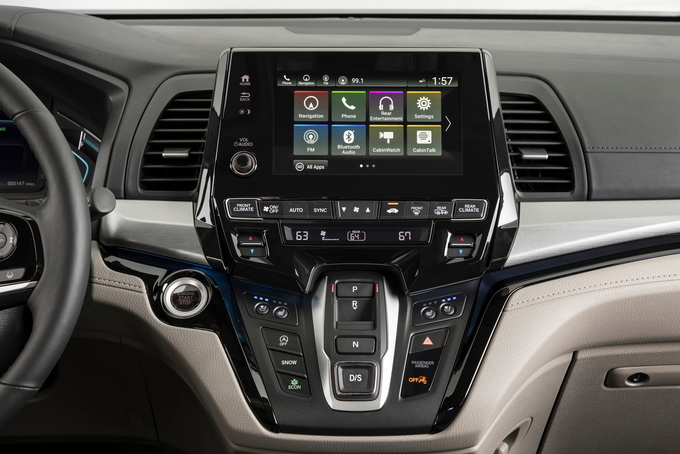 The infotainment system finally gets a volume knob, but additional redundant buttons would make it more user-friendly. Despite an additional 32 horsepower, the new Odyssey still achieves the best fuel economy of any non-hybrid minivan. 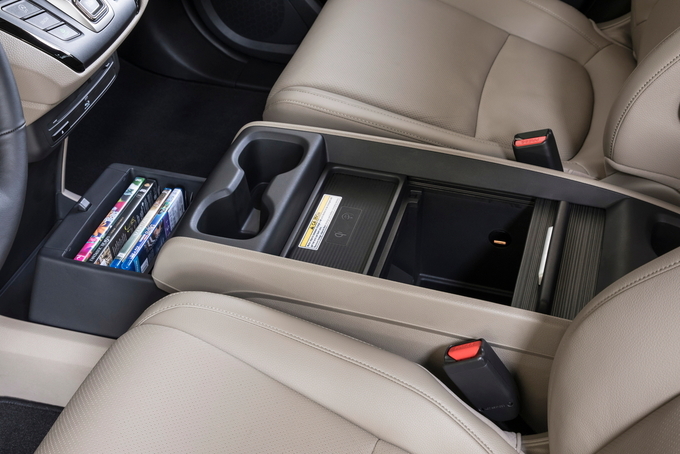 In order to take advantage of the Odyssey's maximum cargo-hauling capacity, you're required to physically remove a pair of 70 pound seats – a situation that might cause many potential buyers to shy away. 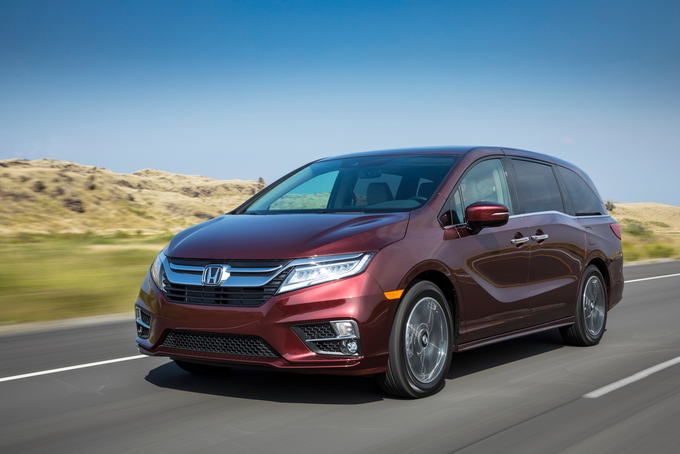 Excellent ride and handling characteristics along with numerous new family-friendly features make the 2018 Honda Odyssey a top choice in the minivan segment. .